….TENS OF THOUSANDS of men have already experienced the best natural beard conditioner that works in half the time. We are now available on Amazon. Are you next!? If you’re looking for that non greasy feeling, that doesn’t cause irritation, AND will condition & soften your beard for a full 24hrs, then Respected Roots Original beard conditioner is what you need! It’s easy to apply, goes on quickly, and deep conditions thick & wiry beards. It will even soften the most coarse and rogue hairs. For maximum beard control, freshness, and styling, our 4oz Original formula will last 30-60 days. As you apply your beard conditioner, a subtle scent of lavender, with hints of oak & citrus, instantly awaken your senses. The moisturizer & conditioning properties are instantly noticed as your beard softens and styling becomes an effortless art. We recommend using our beard butter cream once daily, after a shower. 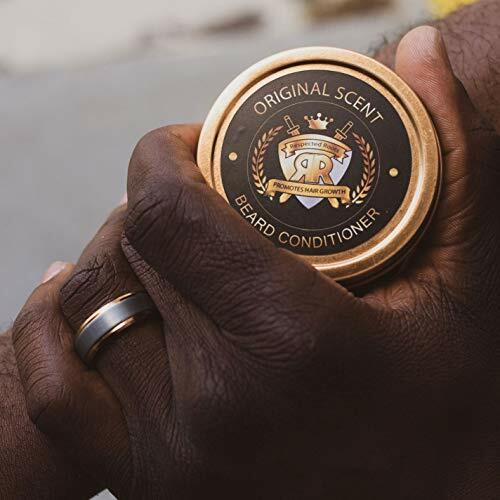 Made with organic, non cruelty & paraben ingredients, our man beard conditioners combine the power of shea butter, cocoa butter, vitamin & nutrients, bees wax, & a number of beard oils. Unlike other brands you’ll see, we control the entire manufacturing process to ensure your beard balm meets our highest standards. Made in our own facilities outside Atlanta, Georgia, each moisturizer, conditioner, and body butter is hand made & inspected. Fantastic for dads, fathers, birthdays, christmas, seasons greetings, xmas stocking stuffer, papa bear & holiday gifts & presents. Simply refrigerate BEFORE opening jars. 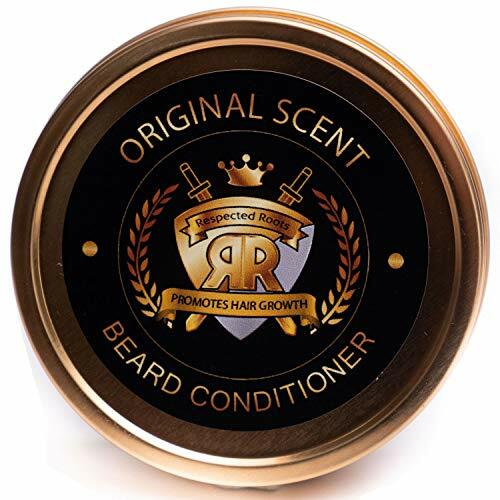 Order now to receive your very own Beard Conditioner, A NO RISK OFFER!PREMIUM NO RINSE BEARD CONDITIONER – Instantly save time with our professional, no rinse beard balm for men. Receive smooth, softened beard care in half the time of leading competitors! Receive immediate satisfaction or receive a no hassle return & full refund, no questions asked. 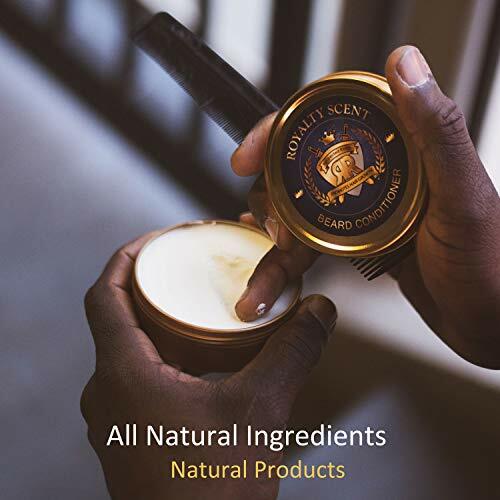 ALL NATURAL + SAFE ON SKIN – If your health, skin, mustache & beard products are important to you, then our organic & natural beard treatment will surely impress! 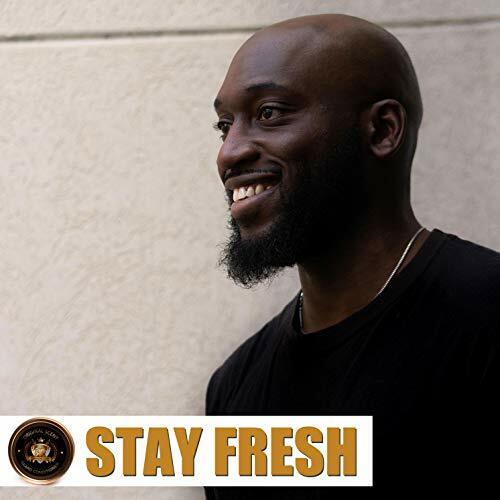 Shea butter, cocoa beard oil, vitamins, tea tree essential oil, beeswax, & more safely thicken, strengthen, & revive facial hair, combat hair loss, and jump start hair growth. 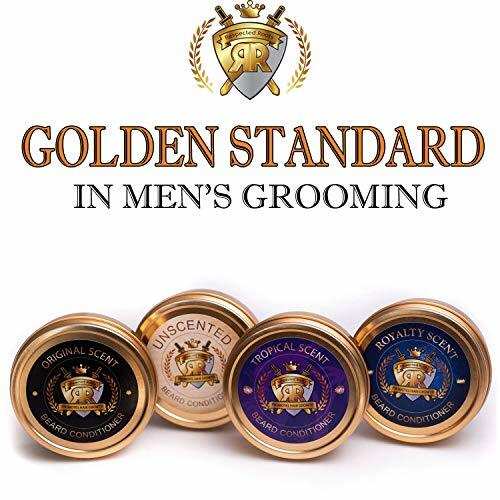 NO IRRITATION, DANDRUFF, OR GREASE – Tired of applying unsafe beard conditioning products to your face? If so, our open & honest philosophy about our men’s beard conditioners completely stops the itch, white flakes, & greasy feeling in your hand. Gently massage our conditioner into mens beards & watch as hairs become fuller and natural, with less tangles. No wash needed & safe on sensitive skin. STRENGTHENS + CONTROLS – Quickly revive mustaches & beards into fuller, better groomed hair. One dab of beard cream allows you to soften, mold, and eliminate tangled hair. Our product formula will condition the most rogue hairs and coarse beards. 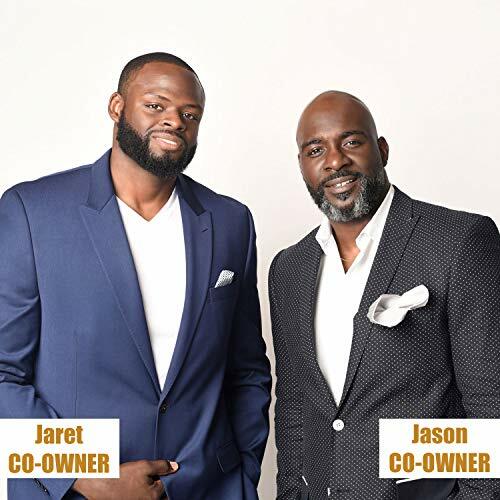 MADE IN USA + MINORITY OWNED – Two men set out to create safer & less irritating men’s grooming products. 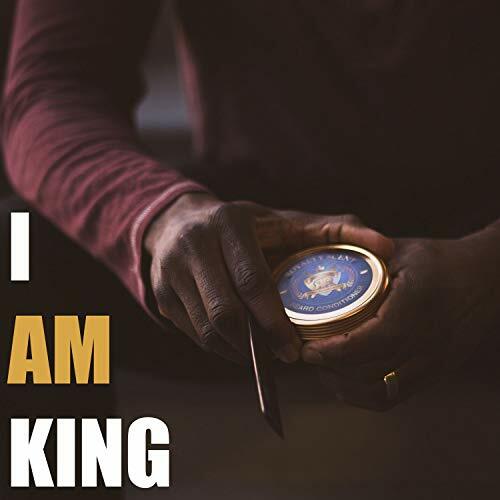 With hundreds of barber shops, salons, & retailers nation wide, our individual products and beard grooming kits will satisfy all your personal & gift grooming ideas. No matter if you’re Black, White, Asian, Amish, Jewish, or any other human being, the Respected Roots brand will work for you.